​I spent 30 years as a stoneware potter before returning to watercolour painting. ​Since retiring to the Whangarei Heads I have been fascinated by the amazing horizons. Just made for watercolours. I've attended several workshops and courses over the last 7 years, including those of Jackie Pearson, Pauline Hailwood, Wellington, Laurence Berry and the Quarry Art Centre, Whangarei. 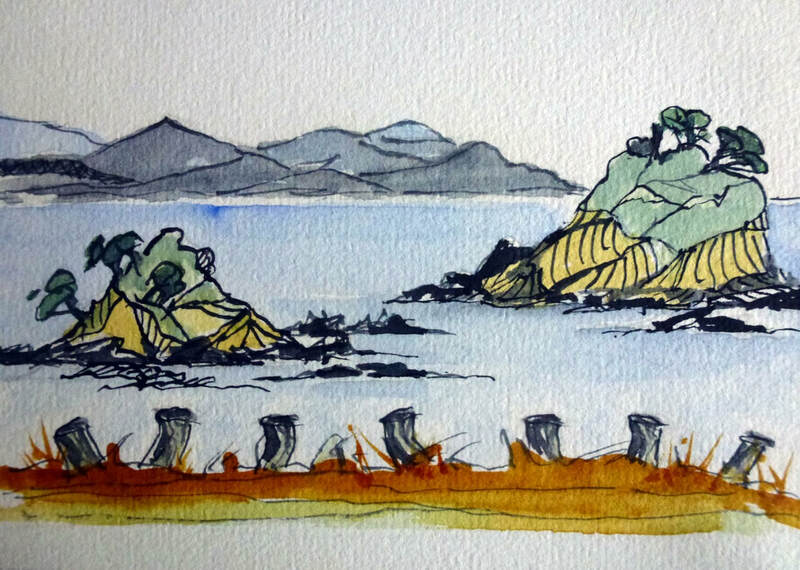 I've exhibited at the Roderick and Gillian Dean Gallery, Kapiti Coast, Reyburn House, the Hangar Gallery and just recently the NZ Watercolour Society in Wellington. For the last 2 years I've exhibited with the Easter Whangarei Heads Arts Trail.